Well , I thought this would be my first photo for my new blog. 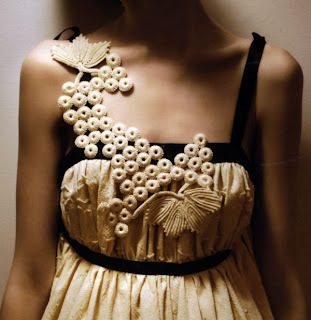 It is intricate, simple, beautiful and full or creativity....yet very wearable. Today, I decided to start my first blog so I could share the things I love with others and the thing I love the most is FASHION! Fashion Magazines, shopping, styling and most of all creating!